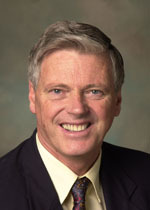 Professor of Actuarial Studies since 1977, John Pollard is a past President of both The Institute of Actuaries of Australia and The Statistical Society of Australia. A Director of Swiss Re Australia Ltd and Swiss Re Life and Health Australia Ltd (companies belonging to the second largest reinsurance group world-wide) 1983-2001, he has also been advisor to several of the largest Australian insurance groups. He has more than 80 publications in refereed journals and has been awarded prizes in the United States of America, Belgium and Australia for his research. He is author/co-author of seven books, of which two have been translated into Chinese, another into Russian, one into Spanish and yet another into Japanese. Two have been made prescribed reading for the examinations of The Institute of Actuaries (London), The Faculty of Actuaries (Scotland) and The Casualty Actuarial Society (United States of America). His first degree was in mathematics and mathematical statistics. His PhD dissertation involved the application of mathematical models to the study of human populations. In 2001, he was awarded the Silver Medal of the Institute of Actuaries of Australia, only the third time this medal has been awarded in over 100 years. Last Updated: 2013-04-24 08:12:54 by Emily Inglis .